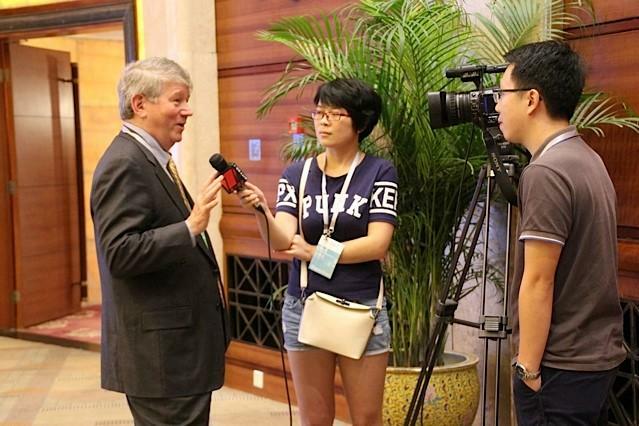 Joe Bankoff, Chair of the Sam Nunn School of International Affairs, was invited by the Shenzhen Foreign Office to travel to China as their guest to present a paper and participate in an Official Symposium on the further Internationalization and Economic Development of Shenzhen. 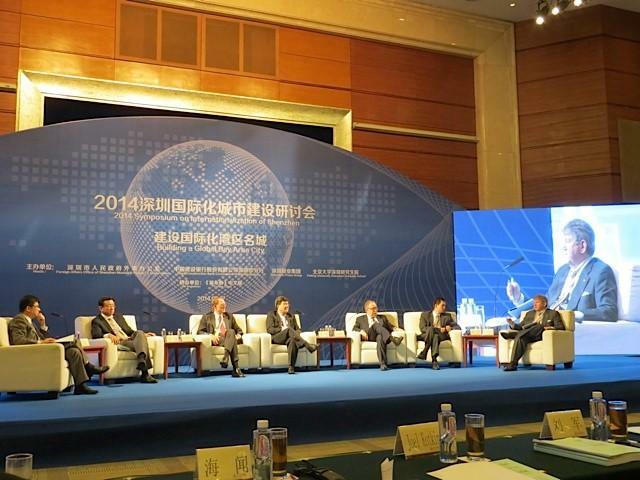 The Symposium was held on September 16-17 in the official Wuzhou Guest House in Shenzhen and attended by about 300 invited officials, guests and media. 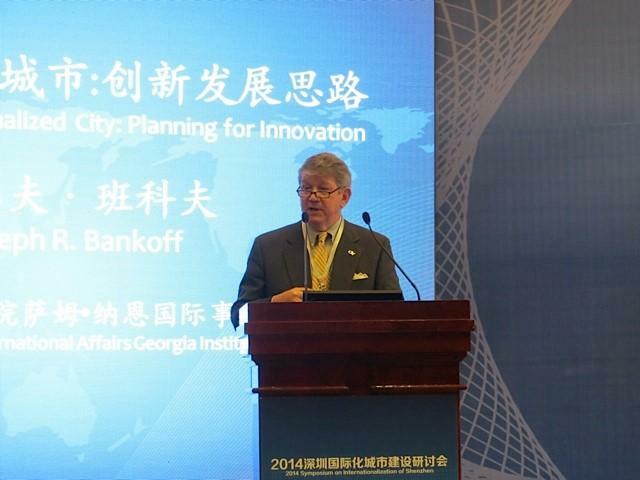 Mr. Bankoff joined six other experts from China, America, Hong Kong, and Israel in presenting their views on how best to attract and support the necessary talent, infrastructure and policies to create an “innovation economy” in this bay city next to Hong Kong that was the first of China’s Special Economic Zones. Based on his long experience in global intellectual property and arbitration matters, Mr. Bankoff presented a 3-part model that urged continued liberalization of the arbitration rules and intellectual property procedures. He stressed the need to create a trusted rule of law environment for successful innovation and investment and to attract, educate and support the necessary human capital. Mr. Bankoff attended at formal dinner hosted by Wang Rong, Member of Standing Committee of the CPC and the most senior government official in Shenzhen. He also toured the site and discussed the plans for the development of Quanhai as a sub-zone within Shenzhen. 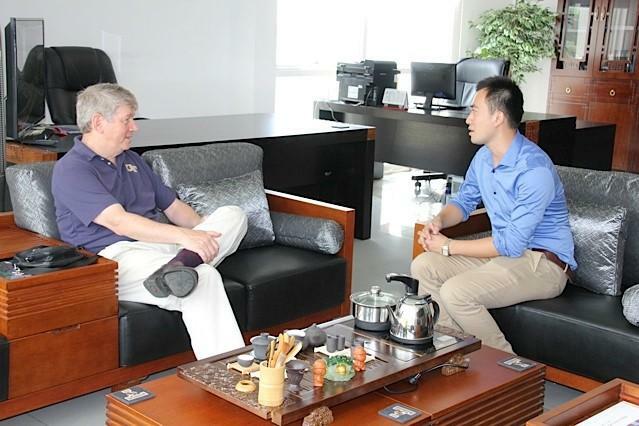 Georgia Tech is the first American school invited to become part of the Shenzhen “Virtual University” that includes outstanding technology and business institutes in China and globally. This fall Georgia Tech began to offer its first masters class in Electrical and Computer Engineering. Mr. Bankoff visited the Georgia Tech facility and visited with Zhiya Wang, officer manager and with Dr. Tong Zhou who is the Director of Georgia Tech’s Shenzhen program.